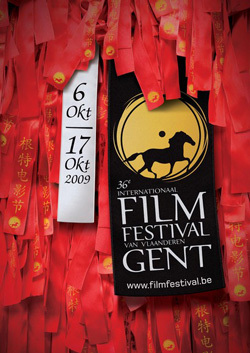 This year's Ghent film festival focuses on Asian cinema, and in particular China. Running from 6 until 17 October 2009, the annual festival is again host to a couple of film music concerts. 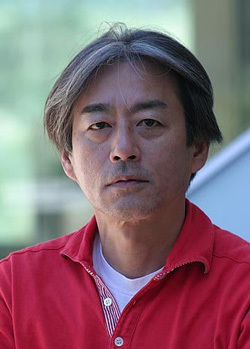 One focuses on the music of Shigeru Umebayashi, composer of House of the Flying Daggers and 2046. The festival also ends with the World Soundtrack Awards. This event will include a concert of French composer Alexandre Desplat's music. On this page you will find all film music related events planned during these 10 days. Pianist and composer Jef Neve has been the wonder boy of Flemish jazz for years. After having written the soundtrack for Felix van Groeningen's film Dagen zonder lief (With Friends like These), the director asked him again to write the music for De helaasheid der dingen (The Misfortunates), which will open the Ghent Film Festival in Vooruit on 6 October. The Jef Neve Trio will perform the music Neve wrote for Dagen zonder lief and De helaasheid der dingen. Famous for their collaboration with Alexandre Desplat for the compilation Nouvelles Vagues: De Godard à Audiard, on which Desplat selects and arranges for a short summary of this movement in French cinema, with music from Delerue, Duhamel, Jarre and Desplat himself, the quintet comes to Ghent and collaborates with the composer again for a new concert tour. Marilyn Monroe, Janet Leigh, Sharon Stone, Jeanne Moreau and Nicole Kidman, these are only a few of the world-famous actresses who made film history to what it is today. Composer Alexandre Desplat and the Traffic Quintet pay a musical tribute to these mythical women called Divine Féminin. A marvellous film soundtrack night with ‘Women’ as theme. 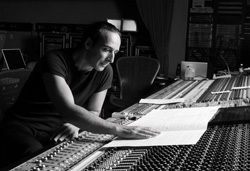 The French composer, Alexandre Desplat, adapted music by colleague-composers like Bernard Herrmann, Jerry Goldsmith, Georges Delerue and Gabriel Yared. The accompanying images are by film maker Ange Leccia who based himself on the American film noir and the work of the French artist Jacques Monory. An instrumental suite which Pacal Dusapin wrote for his opera Medeamaterial is also part of the concert. The music will be accompanied by images of Maria Callas in her only film role as Medea in the film of the same name by Pier Paolo Pasolini. Dirk Brossé conducts the Brussels Philharmonic and choir with soprano Ilse Eerens. On the programme music from In The Mood for Love, 2046, House of Flying Daggers and Curse of the Golden Flower. A half day event in which Umebayashi explains and talks about his work in film music, as well as the possibility to go in debate, ask questions and interact with the composer. The composers Alexandre Desplat and Marvin Hamlisch will be the guests of honour at the 9th World Soundtrack Awards. The Brussels Philharmonic will be playing music from The Girl with the Pearl Earring, The Queen, The Painted Veil and Lust Caution among others. The American composer Marvin Hamlisch, who created unforgettable music for films such as The Way We Were and The Sting, will receive the World Soundtrack Lifetime Achievement Award. Music from Marc Streitenfold, Discovery of the Year 2008, will also be part of the first half of the event. The whole second half of the event is focused on Desplat, and next to the already mentioned titles, also music from Birth, The Golden Compass and Benjamin Button will be performed. The final programme will be announced later on, so changes are possible, but expansions as well (including some older works).